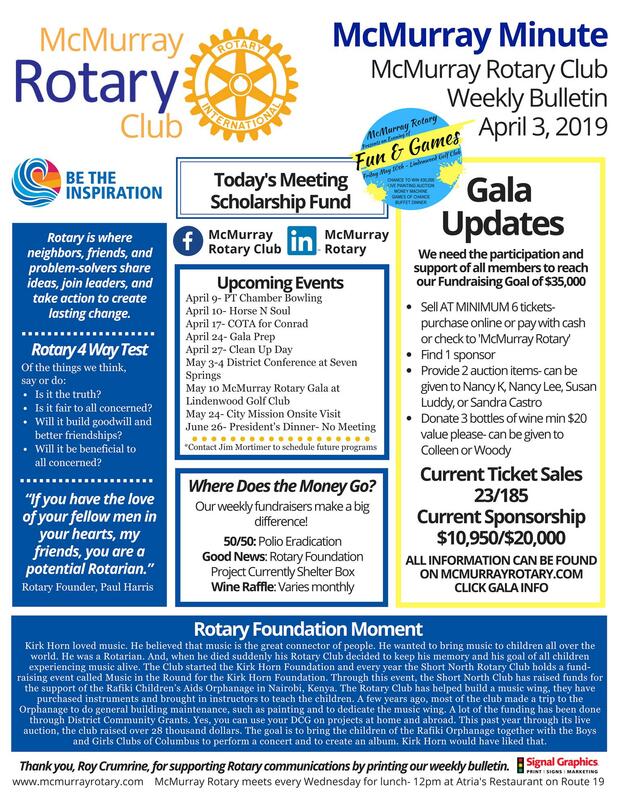 The McMurray Rotary Annual Gala is ONLY FIVE WEEKS away! ticket sales- use link below. Please plan to sell at least 6 tickets per member. Ticket sales are now open! You are welcome to purchase online via the button below or pay with cash/check to McMurray Rotary. A summary of events, the fundraising goal, and available sponsorships can also be found in this email.